The Kansas City Chiefs tight end player Travis Kelce withdraws from The Pro Bowl 2019 while his girlfriend shared cute snaps prior to Patriots vs Chiefs NFL clash. The Kansas City Chiefs tight end player Travis Kelce, primarily enlisted in Pro Bowl 2019's player's list, withdrew from the game due to injury on Tuesday. During the second half of the game against the Titans, Travis suffered a concussion after a nasty helmet-to-helmet hit by safety Johnathan Cyprien. With it being the second concussion Kelce suffered this season, pulling from a meaningless Pro Bowl game is likely a grand precaution. Kelce was selected to the Pro Bowl for the fourth consecutive season after catching a club-record of 103 passes for 1,336 yards and ten touchdowns along with quarterback Patrick Mahomes, wide receiver Tyreek Hill, fullback Anthony Sherman, left tackle Eric Fisher, and outside linebacker Dee Ford. During the match, Patriots barely held on to victory against the Chiefs, arguably the toughest test of their reign, with 37-31 scoreline in overtime. The Chiefs pushed the Patriots to the brink, but the Patriots found a way to overcome their strongest would-be usurper yet. 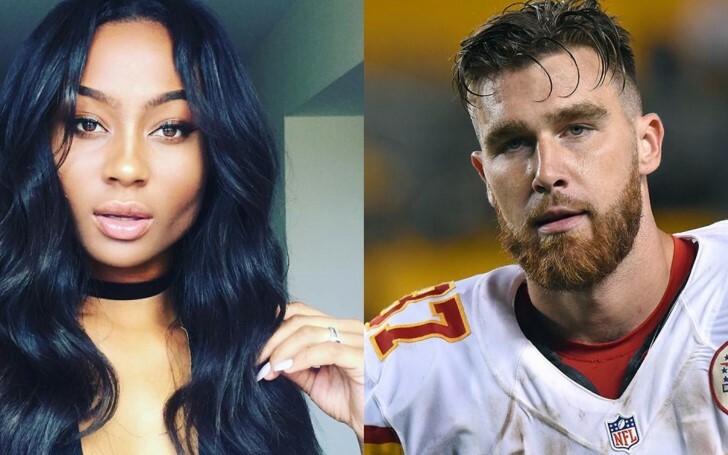 Hundreds of football fans appeared in the Arrowhead Stadium to cheer their respective clubs, among them, was Kansas City Chiefs' Travis Kelce's girlfriend Kayla Nicole who is dating her boyfriend for 2 years. 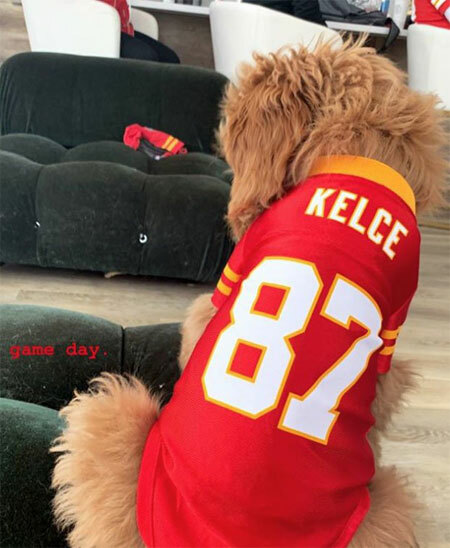 Prior to the game, Kayla also shared an adorable snap of her dog Rambo wearing a replica Chiefs jersey with Kelce emblazoned on the back. The media personality and model also posted videos of herself and her friends on their way to the stadium, pitchside, and taking their seats. Over the past years, Kayla constantly appeared in almost all of Travis's matches to cheer him on as she is the key part of the Chiefs' player's strong NFL season. With Travis calling Kansas City his home and Kayla residing in Los Angeles, it's not always as easy. Regardless of the distance, the two seem to be really in love and aren’t shy about showing it. Apparently, their pictures together are taking over the internet creating yet another 'couple goals'. The duo first sparked rumors last year when Kelce posted a photo with Kayla at his teammate Jeremy Maclin’s wedding on Instagram which got the internet buzzing in 2017.